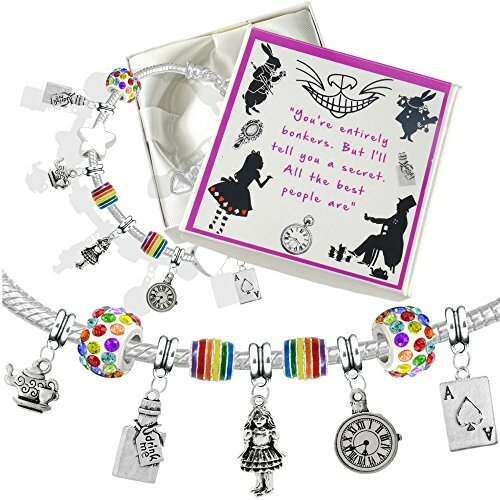 16cm Adjustable silver plated charm bracelet, with removable Alice in Wonderland charms and rainbow colored beads. 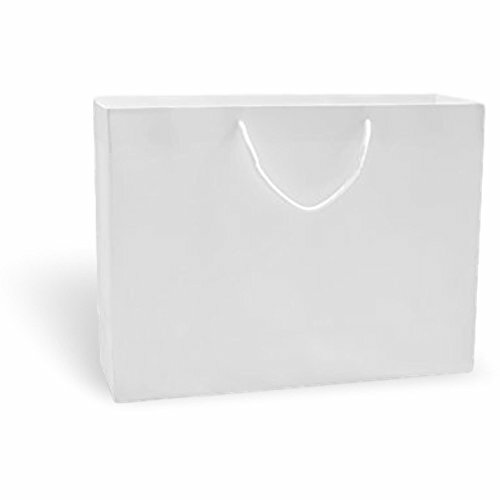 Comes with gift box and gift bag. 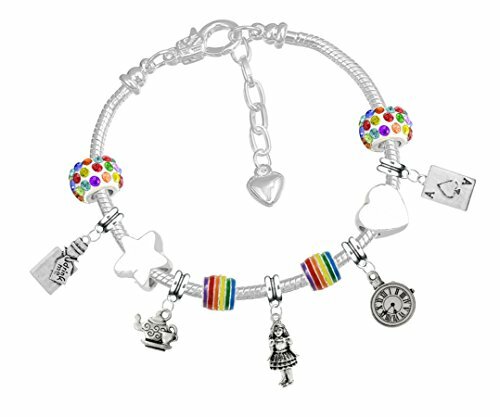 The Bracelet is a 16cm Children’s Silver Plated Snake Chain Style Charm Bracelet with a Sturdy 5cm Heart Extender Chain to allow for flexible fitting, it will fit all Sizes. 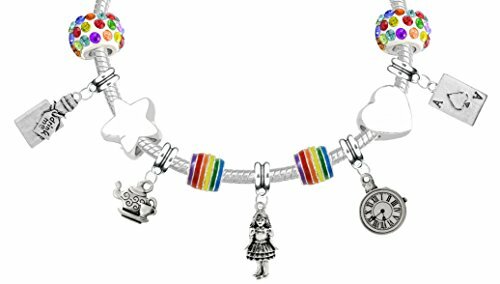 Charms Can Easily be Added, Removed, or Replaced. 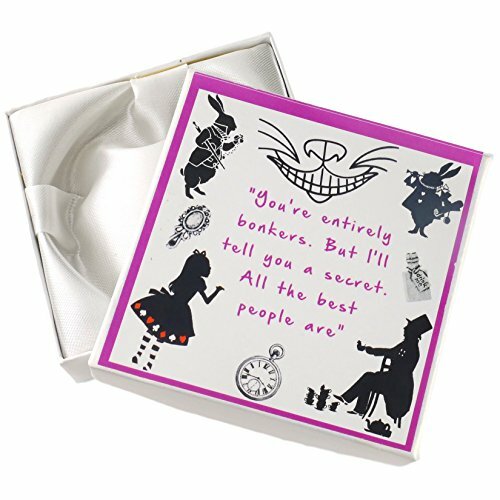 Round pendant with the words “We’re all quite mad here. You’ll fit right in. 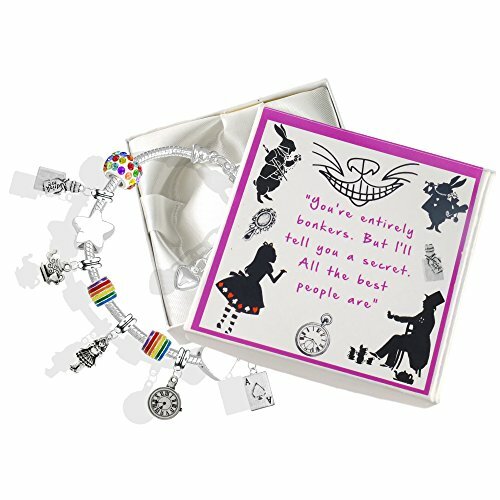 Cheshire Cat”, on a necklace. 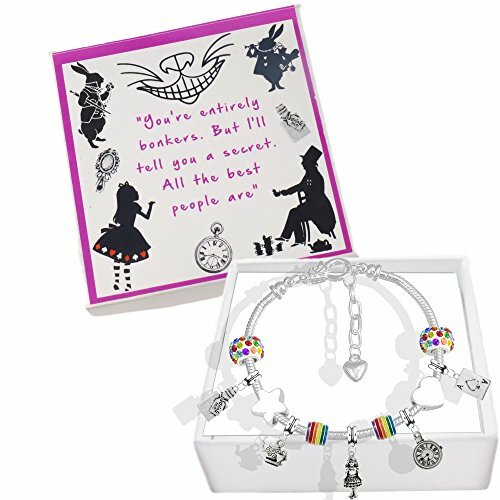 Beautiful bracelet with Alice in Wonderland and other fairy tale themed bangles. Available in gold or silver. 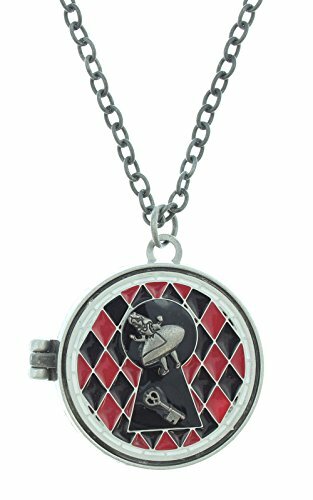 Set of earrings in the shape of a clock, with a White Rabbit to show the time!